Since 1979, Roznovak's Services has been offering heating, air conditioning and radiator services to home and business owners throughout Austin, TX. Let us do the same for you. Our business has grown over the decades, as has the list of services we offer. What has not changed is our strong belief that our customers are deserving of the very best that we have to offer. To us, our customers are family. That is why we take such great care to ensure their 100% satisfaction with every job we complete. Put simply, your comfort and satisfaction with our services are our top priorities. 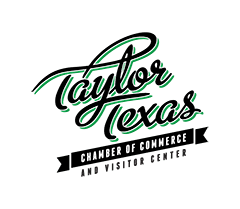 To learn more about the heating, air conditioning, indoor air quality, commercial HVAC, and radiator services in Austin that we have to offer, just give us a call. Roznovak's Services provides air conditioning, heating, indoor air quality, commercial HVAC, and radiator services in Austin, TX and the surrounding areas. Why Work with Us Rather than the Rest? The sheer number of services we offer should be enough to grab your attention. Do not make the mistake, though, of assuming that we would ever put quantity over quality. When you hire us to do a job, we are not done until that job is completed properly. We can handle any number of services that you may need, from HVAC installations to radiator rebuilds for your truck or tractor. Many organizations throughout the area use us as their primary contractor, and we hold a state license. All of our technicians are registered with the state of Texas, and all are EPA certified. In addition to offering outstanding service quality, we also want our customers to know that we stand by our work and the quality of the products we use completely. That is why we warranty our labor for one full year, and we register your new equipment for you so that you receive the longest warranty the manufacturers of those products have to offer. We can truly take the worry out of your HVAC and indoor air quality service experience. To further benefit your comfort and your peace of mind, make sure that you remember to inquire about the many benefits of our maintenance plan. When you take good care of your equipment, you can enjoy the best performance quality that it has to offer. Furthermore, you can help to extend its lifespan, ensuring that you are able to enjoy that quality performance for as long as possible. You receive our lowest rates as a member of our maintenance program, which entitles you to a 10% discount. Plus, you get to enjoy your VIP status, being moved to the front of our service queue should you encounter any trouble at all. When next you need an air conditioner installed, a heater repaired, your radiator rebuilt, or your DPF cleaned, remember that we are the company to call. Why? Because when it comes to comfort and convenience, we do it all. 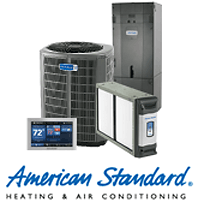 For outstanding HVAC and indoor air quality services in Austin, TX, contact the professionals on our team. Become part of the Roznovak's Services family today.